THE JASON CORBETT murder trial in North Carolina heard from a medical centre worker and a police officer during yesterday’s proceedings. In opening statements, prosecutors also told the court that an autopsy on the body of the Irishman had revealed traces of a sleeping pill. Molly Corbett, 33, and her father, Thomas Michael Martens, 67, are each charged with second-degree murder in the 2015 killing of Corbett’s husband, who was originally from Co Limerick. They have entered pleas of not guilty, claiming self defence and defence of another. On 2 August, 2015, Davidson County Sheriff’s Office deputies responded to a report of an assault at the Corbetts’ residence at Panther Creek Court in Wallburg. When officials arrived on the scene they discovered Jason Corbett unconscious with wounds to his head from which he later died. An autopsy report determined Jason Corbett died from blunt-force trauma inflicted with a baseball bat and landscaping stone. One of the witnesses called by the prosecution yesterday was Katie Wingate, a nurse practitioner from Kernersville Primary Care – around 15kms from the couple’s home. Wingate testified to the prosecution that Molly Corbett visited the office on 30 July, 2015, and was complaining about foot pain. Wingate said she prescribed 15 milligrammes of Trazodone to help her sleep. Wingate said Trazodone can be used as an antidepressant or to alleviate sleep issues. During opening statements Davidson County Assistant District Attorney Alan Martin said an autopsy revealed traces of Trazodone in Jason Corbett’s system. David Freedman, a lawyer for Thomas Michael Martens, then asked Wingate several questions about Jason Corbett’s previous visits to Kernersville Primary Care. On more than one occasion Jason Corbett reported sleeping issues and possible depression, the court heard. A CVS pharmacy supervisor who had prescription records for Molly Corbett then testified to Freedman that he is aware of family members sharing medicine. Davidson County Sheriff’s Office Deputy C.S. Dagenhardt, who responded to the 2 Aug 2015 incident, also gave evidence. While the jury was out of the courtroom, the deputy testified that he saw puddles of blood on the floor and also blood along the walls. He added that some of the blood started to solidify and that Jason Corbett was naked. He also noticed extensive injuries on the body. The defence objected to allowing these observations as evidence, arguing that the deputy wasn’t an expert witness on blood. However the judge said he would allow the jury to hear the observations as evidence. The testimonies came after opening statements made in the morning. Davidson County Assistant District Attorney Alan Martin gave the opening statement for the prosecution. He began by describing what the officer who arrived to the scene saw. “[The sheriff deputy] walked into the master suite, and it was bad,” Martin said. What he saw was the naked, dead, bloody body of Jason Corbett and blood just about everywhere. David Freedman and Walter Holton, lawyers for Martens and Molly Corbett respectively, each gave statements regarding their clients. Freedman said Martens, who is a retired FBI agent, heard a noise upstairs, and grabbed the bat while in a polo shirt and underwear, not knowing what he’d find, the court heard. “Martens opens the door, and the last thing he thought he’d ever see — Jason’s hands around his daughter’s throat,” Freedman said. To finish the opening statements, Walter Holton spoke on Molly Corbett’s behalf. Holton emphasised pictures, including a picture of Jason Corbett allegedly clutching a strand of blond hair in his hand. He also emphasised a red mark that was allegedly on Molly Corbett’s neck, that could possibly signify choking. “Look at the mark on her neck,” Holton said. Look at the hairs that surround it, and look at the hair in [Jason] Corbett’s hand. Where’d that mark come from? The jury will continue to observe evidence and hear testimonies from witnesses. Superior Court Judge David Lee estimates the trial may last up to three weeks. Lee also ruled yesterday that the jury should listen to the entire 911 tape from the case, and make their own judgments on the demeanour of the two accused. Email “Traces of sleeping pill found in Jason Corbett's body, court hears ”. 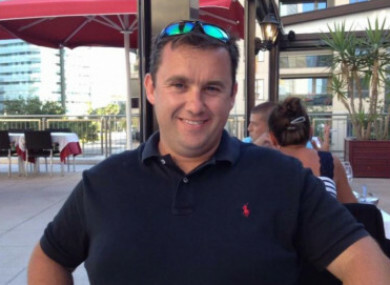 Feedback on “Traces of sleeping pill found in Jason Corbett's body, court hears ”.